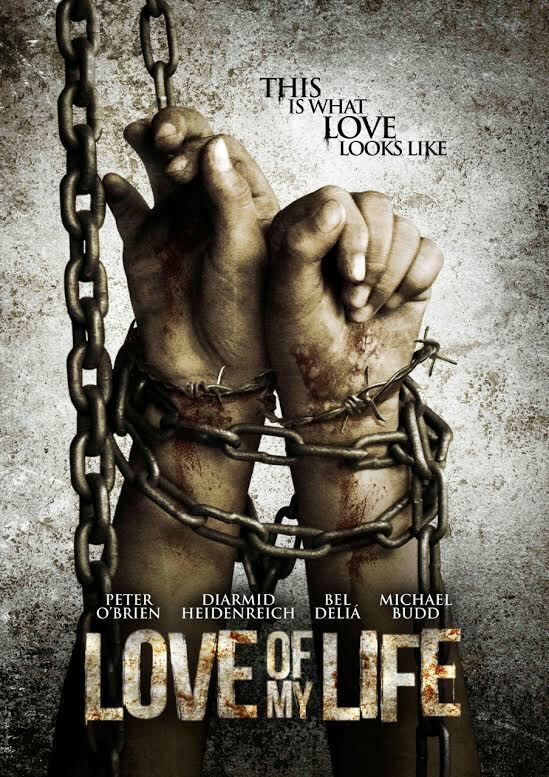 Love of My Life is a 2013 Australian horror/thriller directed and produced by Michael Budd in his directorial debut. The film stars Peter O’Brien, Diarmid Heidenreich, Michael Budd, and Bel Delia. It premiered at the 2013 second annual Mt. Hood Independent Film Festival in the state of Oregon U.S.A. Inside one of the many operating theatres of an old, rundown abandoned hospital, a man awakes strapped to a table, disorientated and scared. On the side of the room a single monitor, showing him a live feed of his loved one trapped downstairs in what looks to be the morgue. Then a man appears, decked out in surgeon’s scrubs, and explains the situation to him – “For five days, I am going to do unspeakable, Godless things to you. You are going to scream, and beg, and plead for me to stop. Then at the end of day five, I’m going to kill you. And when I’ve killed you, I’ll let her go. However, if at any point you can take no more, if at any point you want me to stop, all you have to do is say, “Enough”. And I’ll stop. And then I’ll kill her. So ask yourself now, do you really want to go to your grave knowing she was the last person you ever kissed, touched, held, made love to? Is she the love of your life?” This act has played itself out many, many times. And sad as it is to say, no man has ever come close to making past day one. This entry was posted in Films on December 3, 2014 by n1ch0la5b0lt0n.